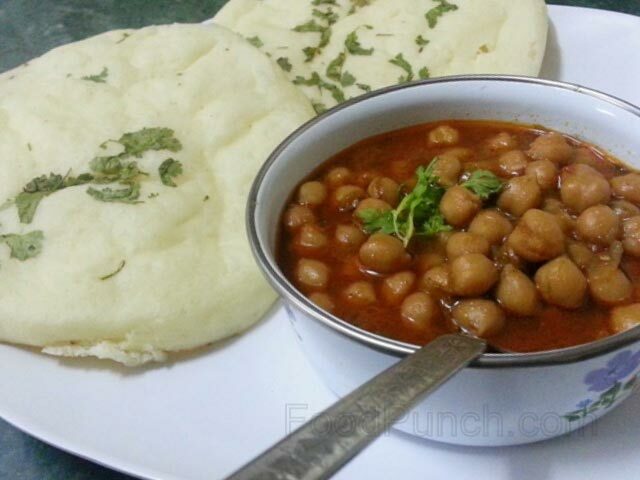 Famous Indian (Punjabi) Chickpea Curry to sweep you off your feet with its delicious flavors. Ever since I got married into a Punjabi household, I’ve been trying to master dishes, which make Punjabi cuisine replete. 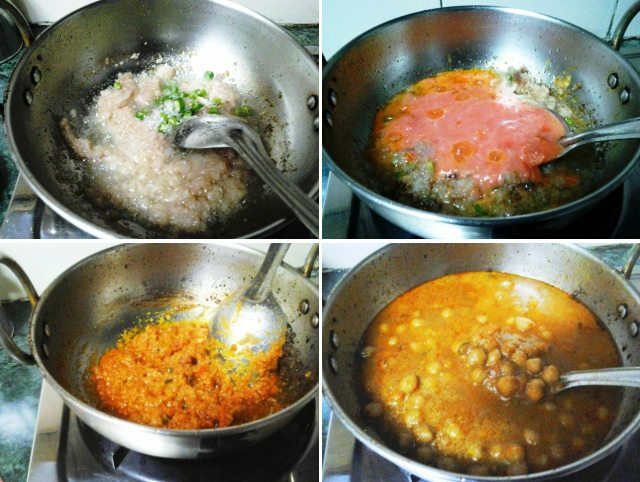 One of the prime dishes in the cuisine is pindi chole, which I’m glad to have learnt from the authentic sources. Contrary to the popular belief of using lots of spices in chole, I was amazed with the prime use of just two spices to make this dish. 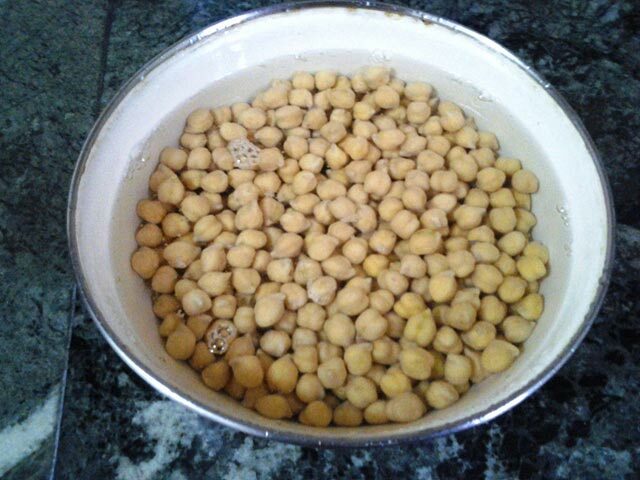 For the dish, you need to pressure cook the soaked chana, with salt and a tea bag. The tea bag adds the dark tinge into the gravy, which makes the dish look dark, yet attractive. Just pressure cook till half done and leave it to cool, while you gear to prepare the tadka. For the tadka, fry ginger, garlic and onion pastes into oil. Add a sugar to caramelize the onions. Add the chopped chilies and fry well. Once golden brown, add the freshly made tomato puree and fry well, or until the oil leaves the sides. Add the powdered spices and fry, till the oil leaves the sides. Now add some of the pre-boiled chana and stir well. 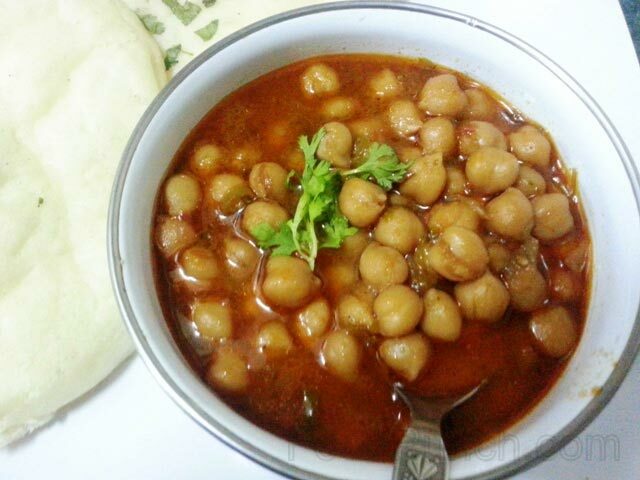 Pour this into the remaining boiled chana, kept in the cooker and add half of the coriander leaves and lemon juice. Cover with the lid and pressure cook, until done. Garnish with the remaining coriander leaves and serve with Kulcha or poori. This dish can be enjoyed with both!